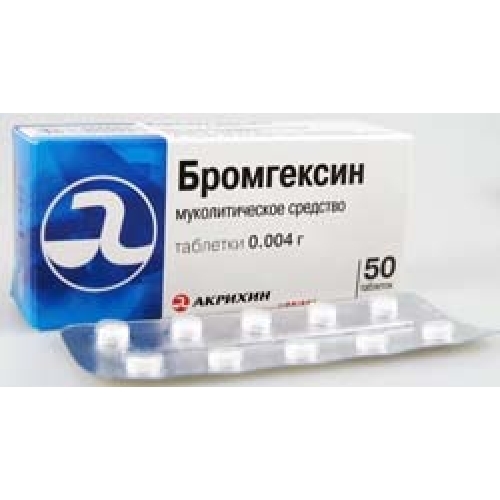 Bromhexin is a mucolytic agent, which provides expectorative action and mild cough-depressant action. It reduces viscosity of mucous, activates ciliated epithelium, increases volume and discharge of mucous. Bromhexin stimulates stability of alveolar cells while breathing. The best result is visible after 2 to 5 days of use. Indications for Use: respiratory tract diseases, bronchitis, bronchial asthma, tuberculosis, pneumonia (acute and chronic), mucoviscidosis.